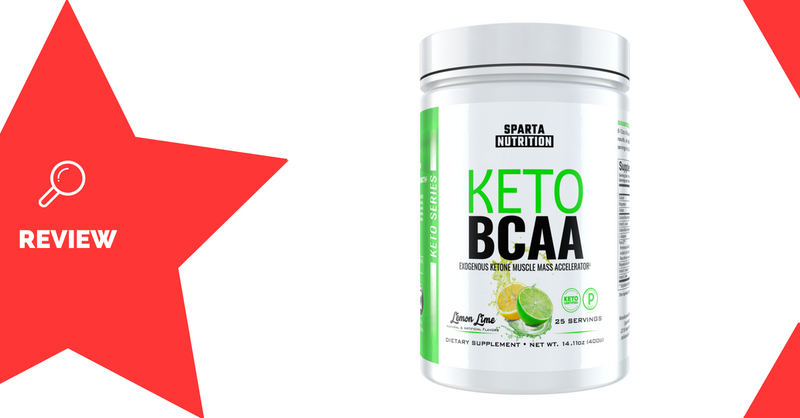 Keto BCAA is an amino acid supplement made by Sparta Nutrition. It’s designed to improve workout quality and recovery, by providing a source of BCAAs and ketones. Sparta Nutrition is a supplement company based in New Jersey, USA. Beta-hydroxybutyrate (BHB) is a type of ketone. Ketones are a form of fuel that your body uses when it’s running on fats, rather than carbohydrates. BHB has a whole range of benefits for general health, but most importantly for athletes may improve focus and reduce fatigue during exercise (1). Branched chain amino acids, or BCAAs, are the protein building blocks which are specific to muscle growth and repair. Supplementing with BCAAs around the time of your workout can reduce muscle breakdown, as well as improve recovery time (2). PeakO2 is a combination of mushroom extracts. This trademarked blend has been shown by research to improve physical performance in terms of power output and endurance (3). Cordyceps, the main ingredient in the blend, has been used for a long time for athletic performance. Glutamine is another amino acid, which also has benefits for muscle recovery. Research shows that it’s not entirely necessary if you already consume enough BCAAs or protein (4). Athletes wanting to improve their workout performance and recovery times may benefit from using Keto BCAA. 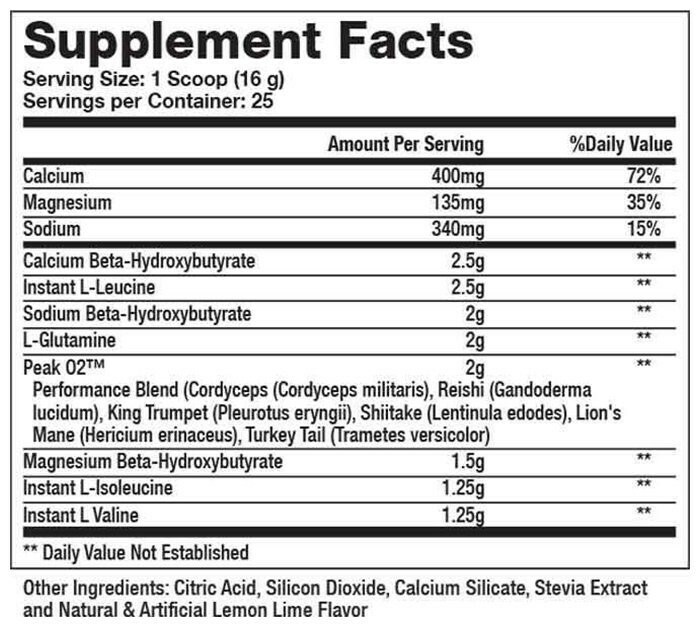 Mix 1 scoop (16g) with 250mL water, and consume during or after your workout. There are no major side effects associated with the ingredients used in this formula, when taken at the recommended doses. Keto BCAA provides a new and exciting spin for intra-workout performance, by combining BCAAs with ketones for fuel. It supplies a solid dose of ketones and other performance-boosting ingredients alongside a typical dose of BCAAs for improved energy, focus, and recovery. This may allow you to take advantage of ketones, without having to go on a low-carbohydrate diet to achieve ketosis.